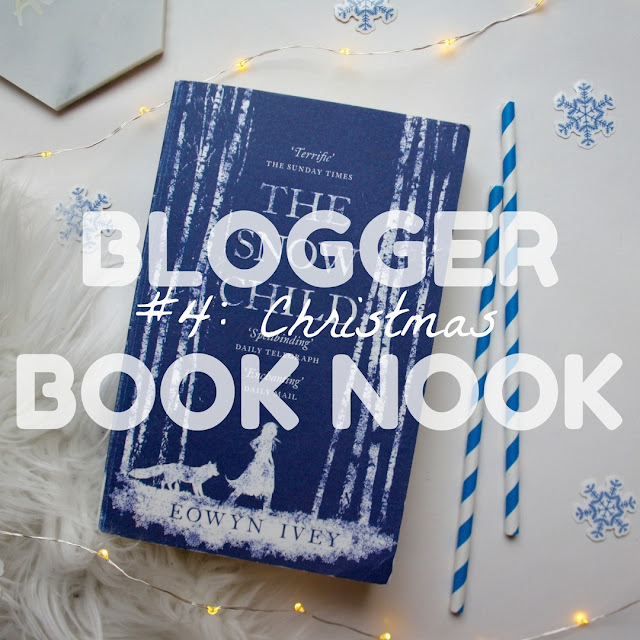 Blogger Book Nook #4: Christmas! Snow may be falling and wind is rattling the Christmas lights hanging outside, but you're all tucked up and toasty in your pyjamas by the crackling fire, a frothy hot chocolate in one hand and a festive read in the other. Sounds pretty perfect, right? In honour of this most wonderful Christmas season, this month's Blogger Book Nook theme is festive reads! Every month, Tabitha and I put together a reading prompt for the Book Nook, encouraging the club members to pick up a book and share it on their blogs. There's also a related Q&A which you can fill out if you decide to write a post on your novel of choice. It's never too late to get in on the action, so click over to our Facebook group to join the bookish community! 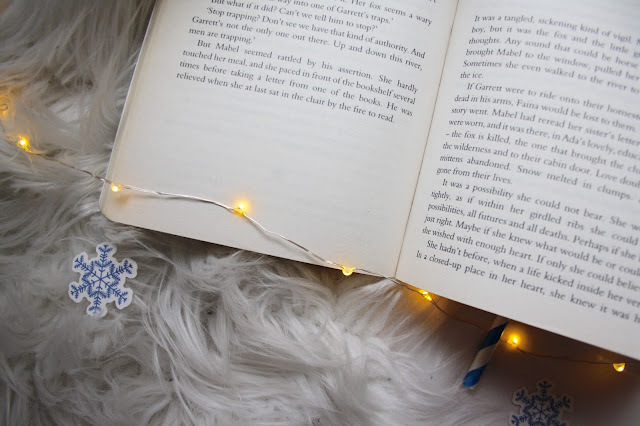 For now, let's dive into my festive read with the Q&A and mini review! While I do have an all time favourite Christmas film (Elf, obviously - I love it and watch it religiously each and every Christmas), I don't have a festive read that I pull out every year. 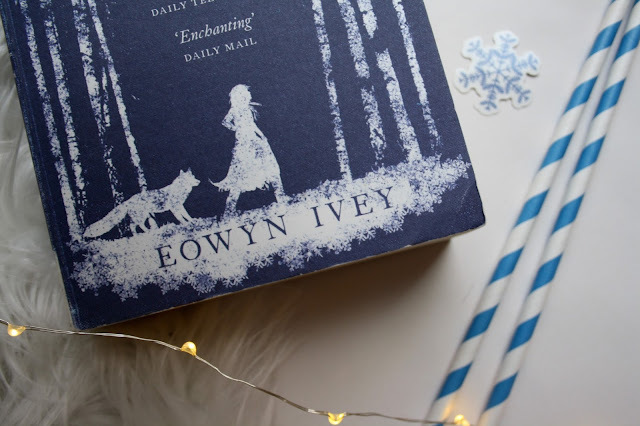 Instead I prefer to read something new each Christmas - the title I've reviewed a little later in this post is a new one to me, and I've also ordered A Dog Called Christmas, which I'm hoping that Amazon will finally deliver before the big day!! I absolutely loved reading as a child; my sister, brother and I would regularly decimate the shelves of our local library, reading everything we could get our hands on! In terms of Christmas stories, I remember quite a few, including J.R.R. Tolkein's Letters from Father Christmas. The Little Match Girl by Hans Christian Andersen made me cry! I'm sure I had a pop up book telling the story of a postman delivering Christmas cards as well but I can't for the life of me remember the title! Although it's not Christmassy in the slightest, I've also recently been reading Naomi Alderman's The Power, which has totally blown me away! I am so invested in the book and it is masterfully written - I'm about two thirds of the way through at the moment and I don't want it to end! Therefore, I'd love to receive another of her books for Christmas, perhaps Disobedience or The Lessons, which is set in my former home city of Oxford. I feel super guilty for admitting this, but one year my Mum gave me a copy of Michael Morpurgo's War Horse and I never actually finished it! I am confident that I still have it on my bookshelf at home, so I will have to dig it out and complete it when I head home for the Christmas break. Whilst I'm still at uni, my bed is the place to be! I love wearing my cosy Primark socks, wrapping a blanket around me and cuddling up with a book and a cup of chamomile tea before heading off to sleep. When I'm at home, my favourite place is next to the woodburner in the lounge, with a dog on my lap! Just perfect! 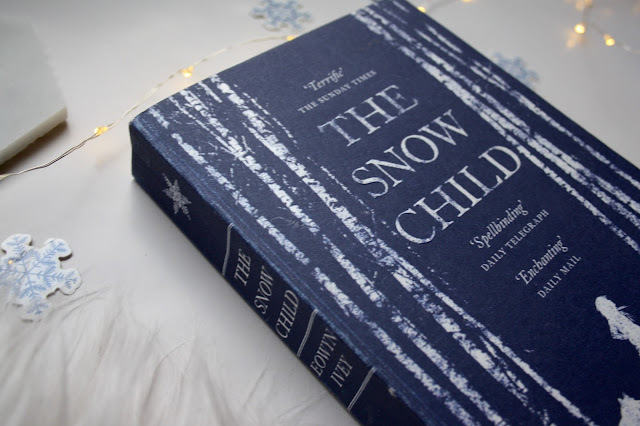 No prizes for guessing that for this month's theme, I picked up The Snow Child by Eowyn Ivey. This was a Richard and Judy bestselling book, so I was excited to find out whether it lived up to expectations. I can tell you now that it most certainly did! The story is set in the 1920's and follows an elderly couple, Mabel and Jack, who left their hometown after Mabel gave birth to a stillborn child, as being part of a large community full of children was just heartbreaking for poor Mabel. They relocated to a remote farmstead in Alaska where Jack set to work farming the baren land, which was fruitful in summer but utterly desolate in winter. The couple struggle to make ends meet but on a rare moment of fun and frolicks between them, one night they form a little child out of snow outside their house. In the coming days, some strange happenings occur on the farmstead. A little girl is spotted wandering the woods, accompanied by a fox. Mabel and Jack are beside themselves - is this little girl real, or a figment of their imaginations, just like the snow child story that Mabel used to read as a youngster? What I absolutely adored about this book was that it was never really clear whether Faina, the little girl in the woods, really is a magical snow child or whether she is real. Even as events in the book transpire and you begin to suspect that Faina might be a real girl, something pops up to surprise you, making you wonder all over again! Despite the fact that even at the end, this is not cleared up, I did not find the book unsatisfying as it just added to the magic and mystery of the whole thing. I would not hesitate to recommend this book as I was utterly enchanted by it. Don't forget to head over to the Blogger Book Nook Facebook page to join in the fun, everyone is welcome! A big thank you goes out to Fleur, Abbie, Gemma, Beth, and Hannah from our lovely little community for penning Book Nook posts for last month's theme, they were a delight to read! What are you reading this month? Any Christmassy recommendations for me? Do comment below!